Artificial intelligence, once seen as a dead end in computer science research, has surged to the fore in recent years. New technologies built on neural networks, machine learning, and deep learning, combined with virtually unlimited MIPs and storage in the cloud, have started to show promise for solving certain kinds of problems. In many cases, the promise is justified. But marketing hype makes it difficult to distinguish the real applications of AI from the bogus ones. Most chief information security officers of larger entities are intrigued by the promise of AI but skeptical when they see vendors touting AIs that can detect and neutralize threats without high false positives. They know that AI-based cybersecurity solutions require a close partnership between humans and machines. He has, for instance, recently taken unilateral steps to cut off foreign aid to countries he says are sending too many migrants to the United States. He wants to redirect some of the Pentagon’s budget to building the border wall that Congress rejected. His administration has separated families at the border, rolled back student loan protections and energy efficiency standards, and reportedly blocked AT&T Inc.’s US$85 billion acquisition of Time Warner. Central banks of South Pacific islands, joined by those of Australia and New Zealand, will focus on the impact of climate change on their financial systems and ways to respond, they said in a statement on Friday. The effort will involve the Network for Greening the Financial System (NGFS), an international group of central banks co-ordinating work on climate change and fostering investment in green technology, in an event in Sydney in November. The governors of the nine central banks – Australia, Fiji, New Zealand, Papua New Guinea, Samoa, Solomon Islands, Timor-Leste, Tonga and Vanuatu – have also started a project to find ways to boost access to cheaper capital flows. 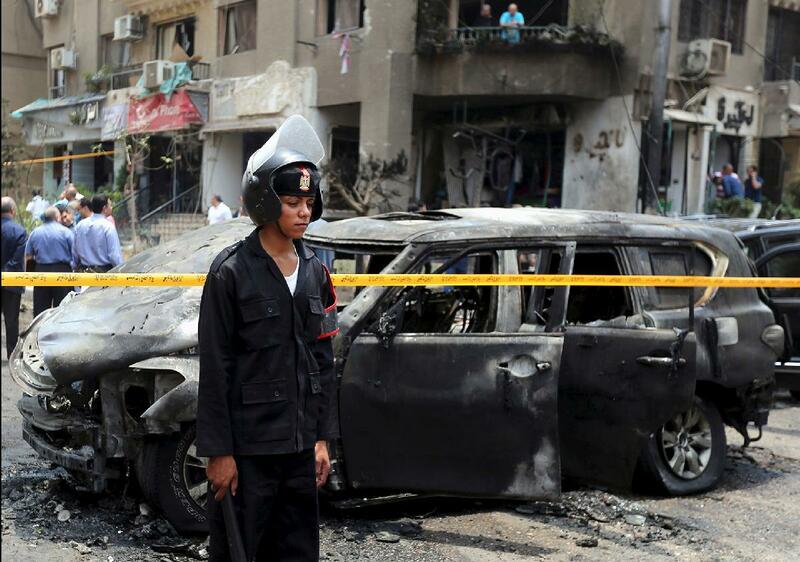 Egyptian security forces have shot dead more than 460 men since the middle of 2015. The Interior Ministry said they were Islamist militants or criminals, and the shootings were in self-defense. Bereaved families, forensic experts and some officials disagree. India’s ruling Bharatiya Janata Party (BJP), led by Prime Minister Narendra Modi, came to power in 2014 promising economic development, especially for the long-beleaguered farm sector. But its tenure has been unfavorable for many of the country’s 100 million farmers who are now reeling from a combination of erratic rainfall, falling commodity prices and government policy missteps. In 2015, the BJP government launched a plan to double farming income by 2020. Instead, farm productivity has continued falling, growth in farm incomes slowed to a 14-year low in 2018, and rural wages have stagnated. The crisis has spurred Indian farmers to march on foot to New Delhi and Mumbai four times in the past two years to demand rescue measures. The government responded by raising official procurement prices, but that move had little relief. Finally, with a multi-stage general election that begins on April 11 around the corner, the finance minister last month announced a cash transfer of 6,000 Indian rupees (a little less than $90) to small farmers, at a cost of 750 billion rupees, or $11 billion. The scheme could help with votes – a hundred million voters will get money in the bank before polls – but observers say the move will do little to relieve the actual problem. 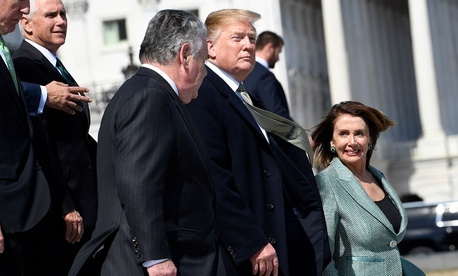 Proposals that would drastically alter U.S. elections and government have moved from the fringe to the front lines of the 2020 Democratic nominating contest, as candidates more willingly embrace issues related to the Electoral College, filibuster and Supreme Court. A number of 2020 Democrats are warming to the idea of big reform issues like eliminating the Electoral College and filibuster, expanding the high court, prioritizing voting rights and granting statehood to the District of Columbia in an effort to hew more closely to the left flank of the party.